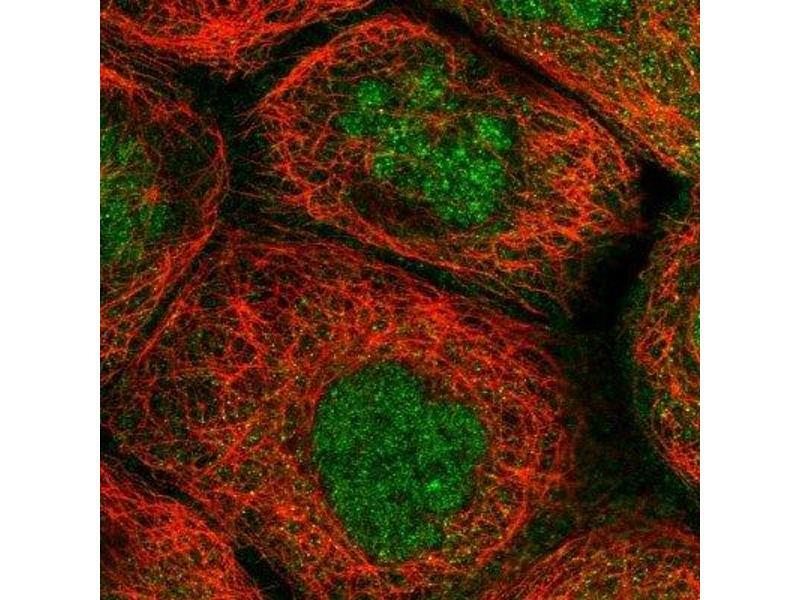 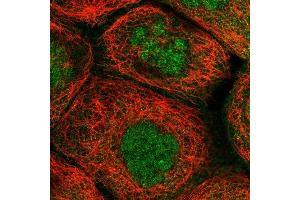 Immunocytochemistry/Immunofluorescence: RPB8 Antibody [NBP1-80816] - Staining of human cell line A-431 shows positivity in nucleus & cytoplasm. 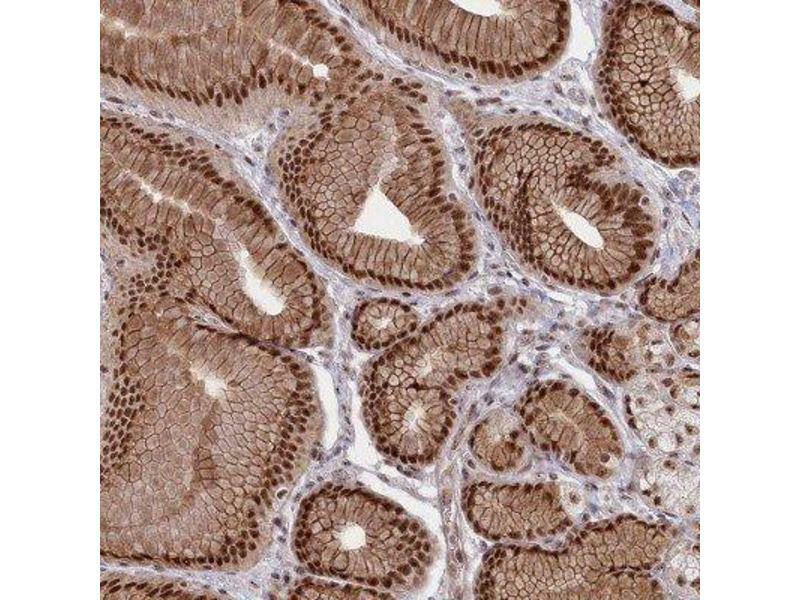 Immunohistochemistry-Paraffin: RPB8 Antibody [NBP1-80816] - Staining of human stomach shows strong nuclear and cytoplasmic positivity in glandular cells. 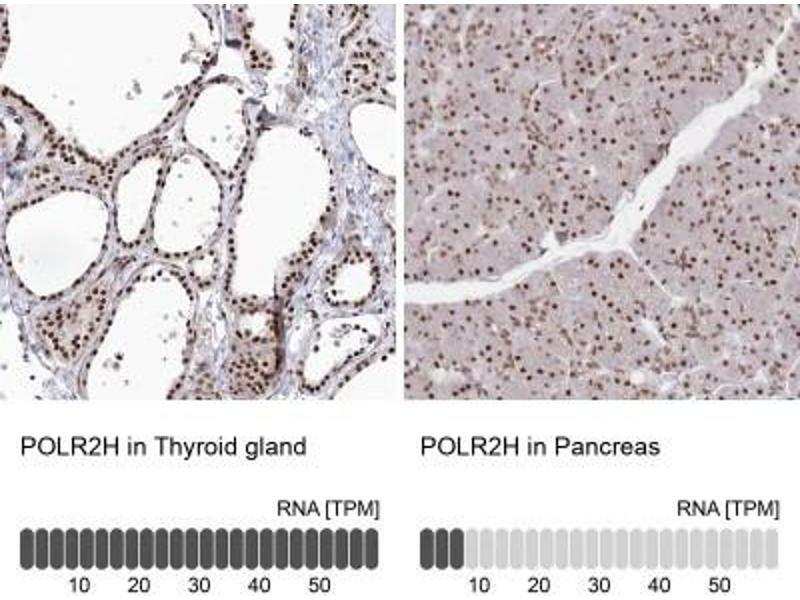 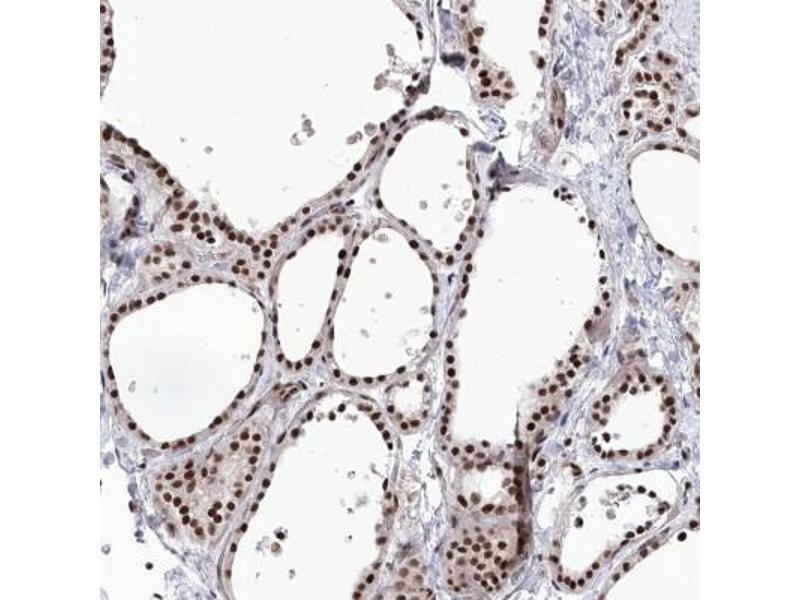 Immunohistochemistry-Paraffin: RPB8 Antibody - Staining in human thyroid gland and pancreas tissues using anti-POLR2H antibody. 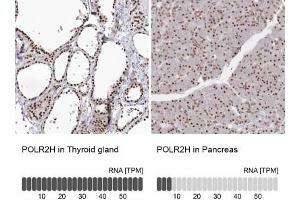 Corresponding POLR2H RNA-seq data are presented for the same tissues. 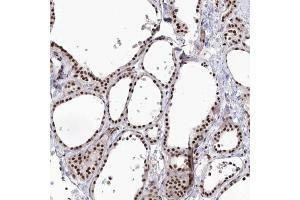 Immunohistochemistry-Paraffin: RPB8 Antibody - Staining of human thyroid gland shows high expression. 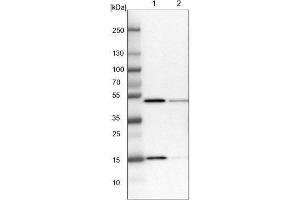 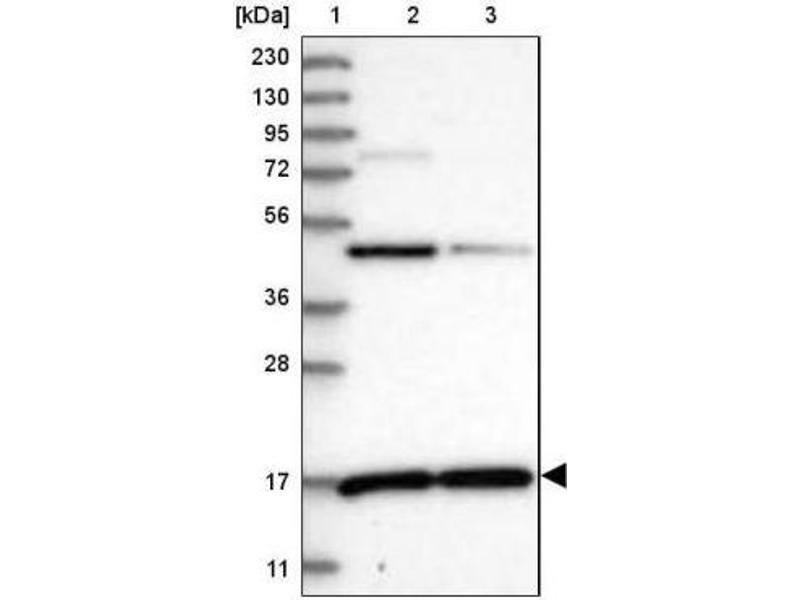 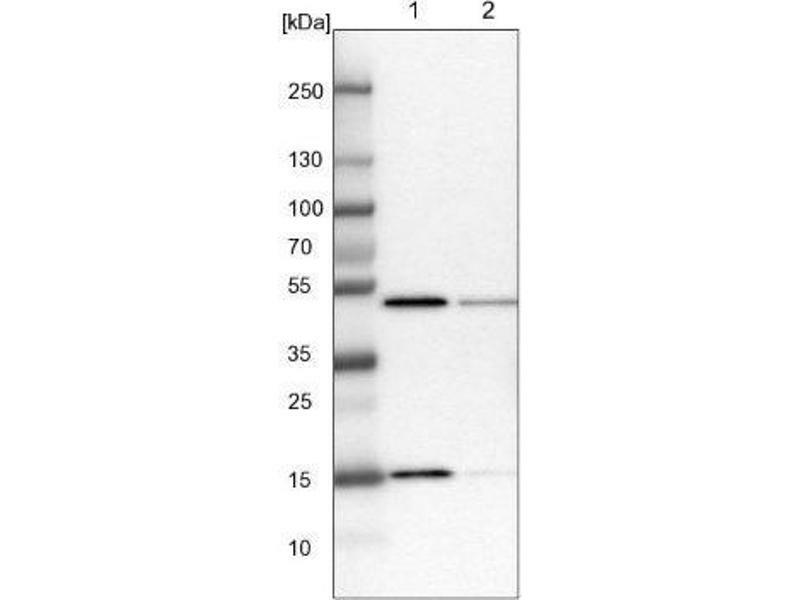 Indications d'application Western Blot 1:100 - 1:250, Immunohistochemistry, Immunocytochemistry/Immunofluorescence 1-4 μg/mL, Immunohistochemistry-Paraffin 1:50 - 1:200For IHC-Paraffin HIER pH 6 retrieval is recommended. IF fixation permeabilization: PFA/Triton X-100. 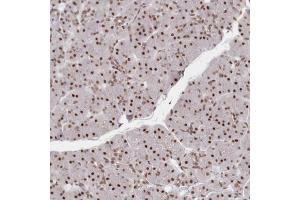 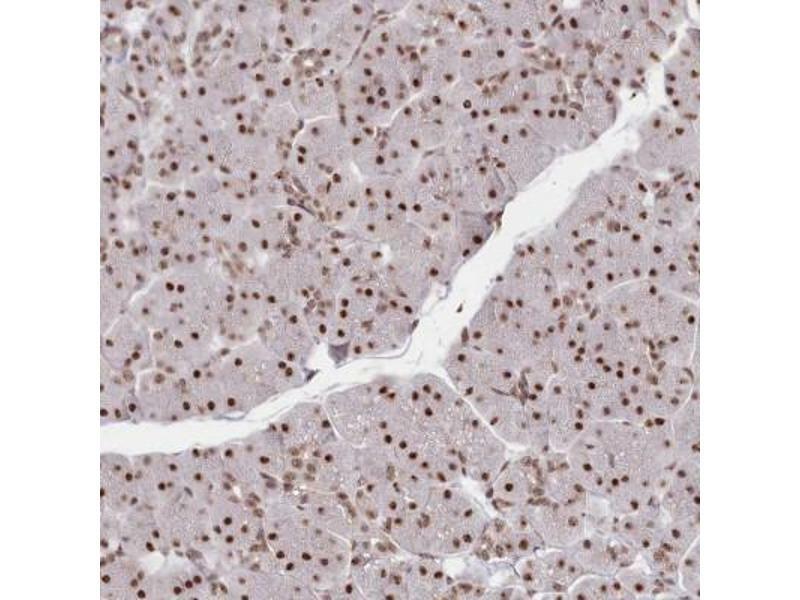 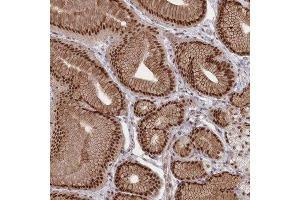 Immunohistochemistry-Paraffin: RPB8 Antibody - Staining of human pancreas shows low expression as expected.